As one arrives into the main square in the centre of the city of Mdina, one can not simply miss the Cathedral found at the heart of it. The baroque style building designed by Lorenzo Gafa commands an undeniable gravitas, which leaves those who behold it awestruck at the sheer magnitude of it. Flanked by two palaces of the same style of architecture, the Cathedral is easily found to be dominant within the old city of Mdina. The baroque palaces surrounding it are the old seminary, and the episcopal residence, with the former housing the Cathedral Museum. 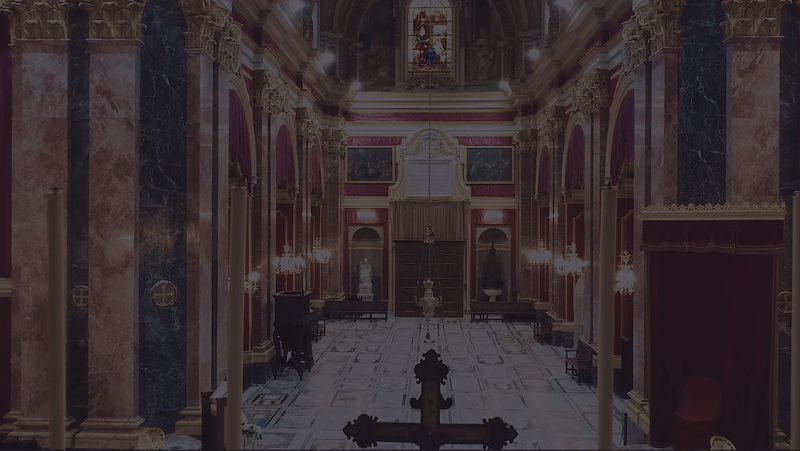 The Cathedral is the metaphoric mother of all Maltese churches, and it is also the seat of the Maltese archbishop. The Maltese archbishop, who is in charge of the whole diocese, uses the Cathedral as his base from which he teaches the Catholic religion, govern over the said diocese, as well as unite all its constituents. In 1944, the bishop of Malta was given the title of Metropolitan Archbishop and Head of the Ecclesiastical Province of Malta and Gozo, thus in effect giving the cathedral the title ‘metropolitan’. Though the bishops of Malta have not always lived on the island, since Norman times, the cathedral has always been their seat. Since the Order of the Knights of St. John arrived on the islands in 1530, the succession has been regular. It is good to note that during the time of the Order, only a single Maltese native became bishop; Baldassare Cagliares, who held seat from 1615 through to 1633. This being noted, one should also note that all bishops after 1807 were Maltese. After the French occupation which ended in the early years of the nineteenth century, the cathedral chapter began to fulfill its duties in the cathedral in Mdina, as well as the co-cathedral of St. John’s in Valletta. St Paul’s Square, Mdina Malta.